I visited the Arc de Triomphe in Paris in 2003, and I spent some time there, walking around, inside and atop the Arc. I really like the view of Paris you can see from the top of the Arc—you’re not towering over the city, but you have a lovely birds-eye view. On a clear day, like the one I was lucky enough to experience there, you can see many of the other major landmarks in Paris, including the Eiffel Tower, as photographed above. 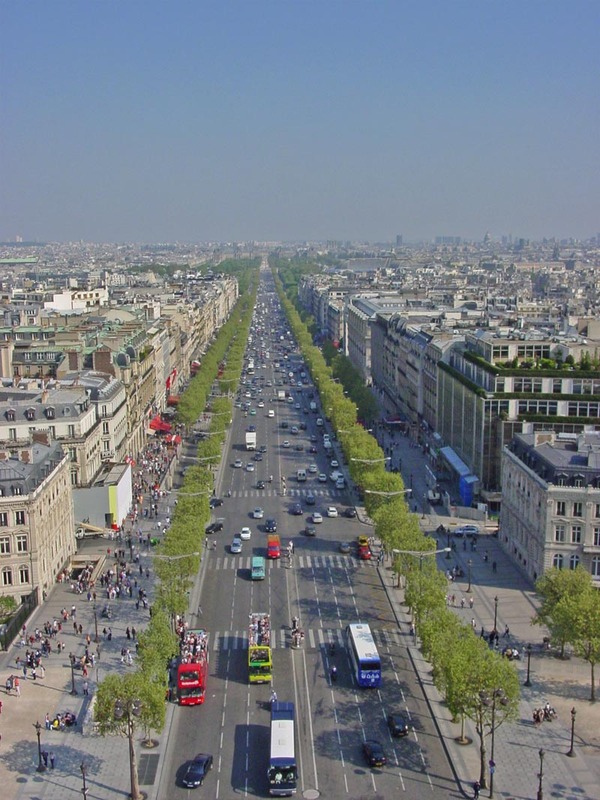 You also have a beautiful view of the Avenue des Champs-Élysées from the Arc de Triomphe (pictured above). The Champs-Élysées is one of the most famous streets in the world both today and historically. As it is a very wide street running through the heart of Paris, it has seen a number of military parades, most famously the march of German troops after the fall of France in World War II in 1940 and the subsequent marches of French and American troops following the liberation of the city in 1944. In more recent years, the street has become the place to find luxury retailers and big-name mainstream brands in Paris. I took these photos in Paris, France, in April 2003. 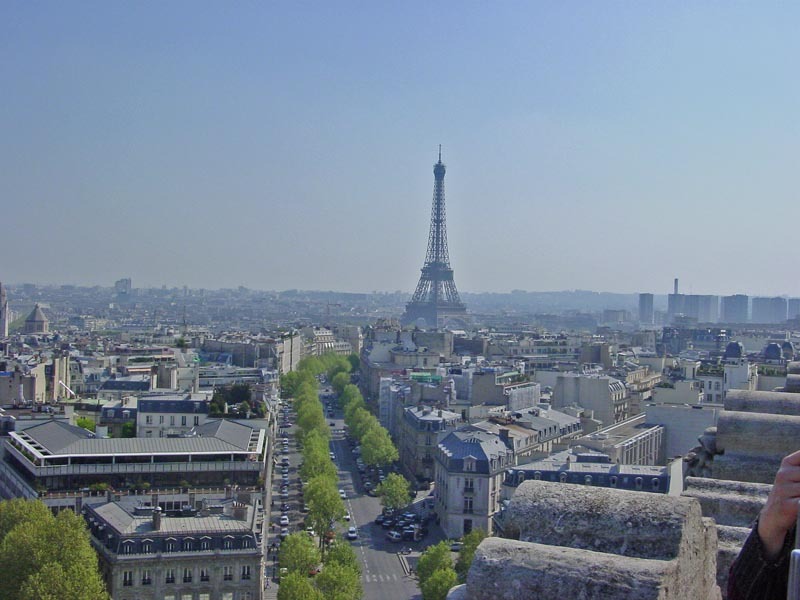 09 May This entry was written by Kathy Keating, posted on May 9, 2010 at 2:23 pm, filed under Europe, Landmarks and tagged arc de triomphe, champs-elysees, eiffel tower, france, kathy keating, paris, world war II. Bookmark the permalink. Follow any comments here with the RSS feed for this post. Both comments and trackbacks are currently closed.